At a time when anti-Semitism is resurging in the world and there is a lot of discussion about what anti-Semitism is, the relevance of the early 20th century fabrication, The Protocols of the Learned Elders of Zion, has never been greater. The Protocols, concocted by the Russian tsarist police in the early years of the 20th century, was allegedly the secret plans of Jewish leaders on how to take over the world. In 24 chapters the plans of the Jews to gain control of the banks, the media, armed forces and every institution were explicated and described. Unfortunately, this total fabrication was widely believed to be the real thing, used to justify murdering hundreds of thousands of Jews after the Russian Revolution. It was also a key source of propaganda for the Nazis. It continues to circulate, particularly in the Arab world. The Protocols’ relevance today lies in helping in the understanding of what are the unique characteristics of anti-Semitism. By looking at why this particular fraud was perpetrated, why it was so widely believed, and why it has had such a devastating historical impact tells us much about what makes anti-Semitism different than other forms of hatred. And why it continually reemerges and why it is so difficult to combat. 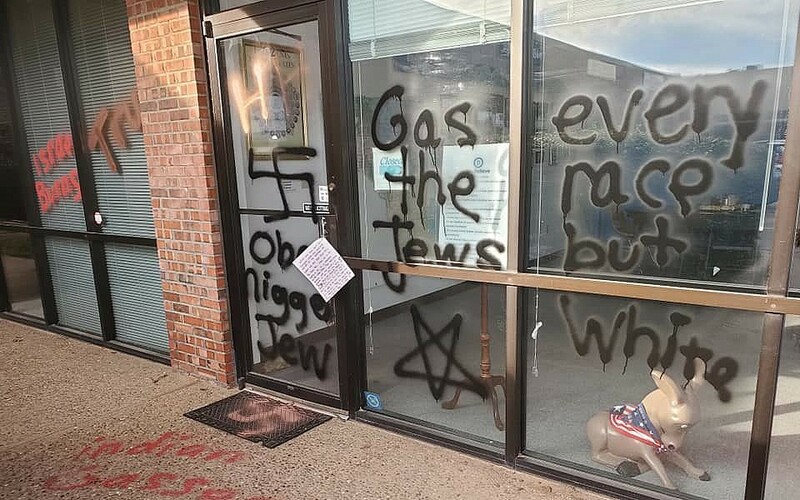 Hatred of Jews shares with other forms of prejudice – racism, homophobia, Islamophobia, sexism – certain traits, including xenophobia, the fear of the other, discrimination, and stereotyping. Recognizing the commonalities of hate enables groups to work together to combat hate in the broadest sense. On the other hand, like a physician, one also needs to understand what makes a particular form of prejudice unique. The Protocols speak to that hard-core unique element of Jew hatred. It is no accident that when individuals sought to create the ultimate anti-Semitic document they focused on an alleged conspiracy of secret Jewish power. This is particularly noteworthy considering that at that time, in the early 20th century, the Jewish people had no real power. Indeed, even some 40 years later, when the Nazis were launching their Final Solution against the Jews of Europe, the great tragedy of the Jews was that at the worst possible moment, the Jews were completely powerless– no country, no military, no place to go, no political influence. The reality of the Jew had nothing to do with the fantasies that predominated about Jews. This was evident in the Middle Ages where Jews were accused of all kinds of things – blood libel, desecrating the host, poisoning the wells. This was true in the modern world where Jews, often at the very same time, were accused of being the secret party behind capitalism and communism. So, no surprise when enterprising anti-Semites came up with the idea of creating a document to put the Jews in the worst light, they expanded on the fantasy of Jews planning to gain world control. They knew what they were doing because millions of people already believed such preposterous ideas. When the document first appeared, it rang a bell of recognition. Yes, that is what we always believed about the Jews, about why the world is what is. This was seen in a trial in Bern, Switzerland in which an individual was on trial for illegally disseminating the Protocols. Numbers of witnesses testified to it being a complete fabrication. When the defendant was asked about these testimonies, he responded: they make no impact because all one has to do to is look around and see that that is exactly what the Jews are up to. And so to today’s resurgence of anti-Semitism. It is exactly because the essence of anti-Semitism is the notion of secret Jewish power that anti-Semitism is surging both on the right and the left. In an environment where each side sees the other often as the enemy sets the stage for conspiracy theories, the favorite of which is that about Jews and power. On the right, it’s Jews who are seen as controlling government or Jews are not being loyal to the nation but to some external power, or Jews being behind liberal politics, like welcoming refugees. The centrality of the accusation of secret power means three important things about anti-Semitism. First, it means Jews can always be scapegoated by demagogic political leaders whenever there is a crisis. When Malaysia went through a difficult economic recession, Prime Minister Mahathir Mohamad suggested that his people were suffering because of Jewish control of international currency. Second, because there is a strong political element to this core of anti-Semitism, it goes far beyond the personal and can inspire public action against Jews. If Jews are secretly poisonous and powerful, society has to protect itself from this threat. Third, sometimes Jews are most in danger not when they are discriminated against but when they are doing well. The secret Jewish power accusation then seems even more valid. This is an unusual characteristic that applies more to anti-Semitism than other forms of bigotry. This understanding of what is unique about anti-Semitism alerts society never to be complacent about this disease. Because it is based on a fantasy about Jews, it means that whenever anxiety roils civilization, Jews undoubtedly will be a target. We are seeing it now once again.